Power of meditation BBC documentary. Alcohol can destroy you and your family. But still, there is a light end of the tunnel. 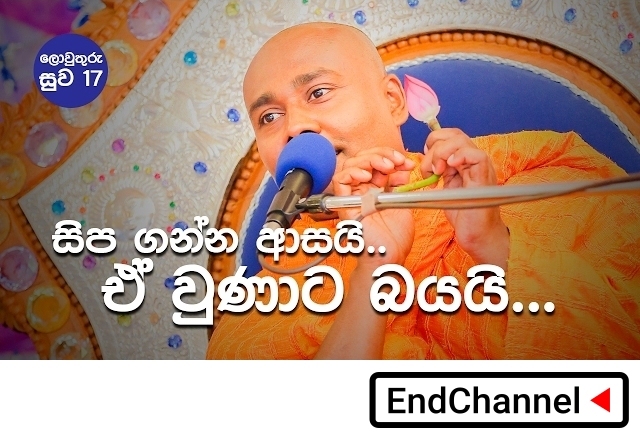 Most entertaining current Dhamma debate in Sri Lanka in Sinhala language. This is the most worrying revelation of the practice of Mahameunawa temple and the teaching of Ven Kiribatgoda Nananada. Some matters raised in the above video. Ven. Samanthabadra is challenging Ven Nananada to come to an open debate with him. Instead Ven. Nananada resort to his media to answer Ven Samatabadra’s questions. When Ven S post his videos in Ven N’s face book Ven. N took action to remove them. Samanthabadra has raised 100’s of questions it is impossible to list them here. Ven N has translated the Tipitaka inappropriately. In 2008 Ven. N said that the year 2012 is the end of the world. These statements are more in line with Abrahamic religions. Ven N has distorted the traditional Buddhist symbols such as Buddha’s statue. Monks and laypeople live together. One of my friends insisted that I should watch the following video. It got a Buddhist perspective. The following is only the trailer. Pitiduwe Siridhamma who uses the name Samanthabadra is a con man. He foolishly claims that he is a Lord Buddha. He tries hard to portray himself as a wise person via boasting. Here's a link to an article in Sinhala language that I wrote about two years ago regarding one of his failed dramas where he was stupidly asking a follower to touch him and feel his wisdom. "පිටිදූවේ සිරිධම්ම පොඩ්ඩාගේ ප්‍රඥාව පොඩිත්තෙකු විසින් අතින් අල්ලා පරීක්ෂා කරන්න යෑම"
‘‘Puna caparaṃ, bhikkhave, bhavissanti bhikkhū anāgatamaddhānaṃ ārāmikasamaṇuddesehi saṃsaṭṭhā viharissanti. Ārāmikasamaṇuddesehi saṃsagge kho pana, bhikkhave, sati etaṃ pāṭikaṅkhaṃ – ‘anekavihitaṃ sannidhikāraparibhogaṃ anuyuttā viharissanti, oḷārikampi nimittaṃ karissanti, pathaviyāpi haritaggepi’. Idaṃ, bhikkhave, pañcamaṃ anāgatabhayaṃ etarahi asamuppannaṃ āyatiṃ samuppajjissati. Taṃ vo paṭibujjhitabbaṃ; paṭibujjhitvā ca tassa pahānāya vāyamitabbaṃ. "පිටිදූවේ තුච්ඡ සිරිධම්මගේ අන්තර්ජාතික අන්ධබාල අම්බලම"
Could you create a new post with your comments as per your article? Then we all can discuss the points you raised there.